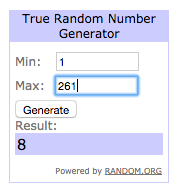 The winner of the $25 gift certificate to Southern Fabric is . . .
Congratulations! I will be emailing you shortly.